The Diverge is more capable than ever. And with the constant goal to best meet your needs, Specialized took your number one request into account—tire clearance. The new frame will comfortably fit up to 700x42mm tires or 650b x 47mm tires. 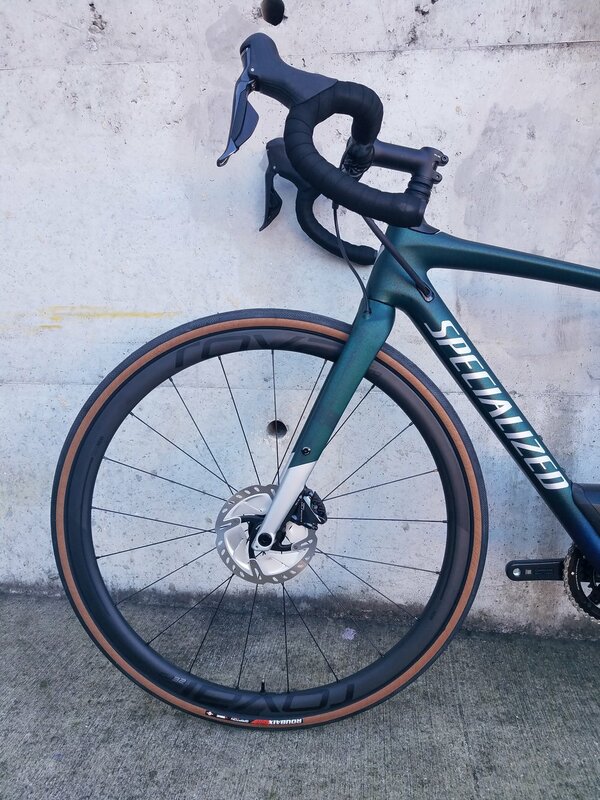 Along with tire clearance, weight was a large factor in the development, and taking some design cues from the development of the Roubaix, Specialized developed a sub 900-gram FACT 9r carbon frame that's one of the lightest in the category. Actually, it's pretty damn light, even if your intent was more Polka Dot Jersey than hunter's plaid flannel. And while riding gravel and dirt roads on a road bike may add to the adventure, there's only so much that wider tires with lower pressures can absorb, in terms of bumps. 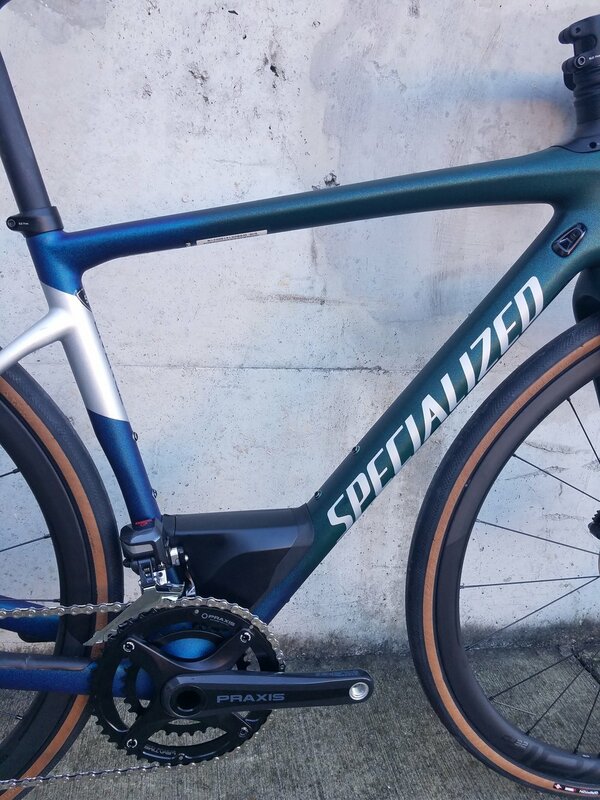 With this in mind, Specialized implemented a new version of our Future Shock into the Diverge design. It not only soaks up bumps with ease, but also adds the benefit of extremely predictable handling. That's because the wheelbase isn't lengthening when you hit a bump, so the front end of the Diverge keeps the same effective head tube angle. In other words, when you dive hard into a turn, you won't be surprised by under-steer or sloppy handling. Unlike the original Future Shock (found on the Roubaix), the Diverge's version features a progressive spring that makes this technology more suitable for off-road applications, where stiffer suspension is often needed to soak-up larger bumps and obstacles. 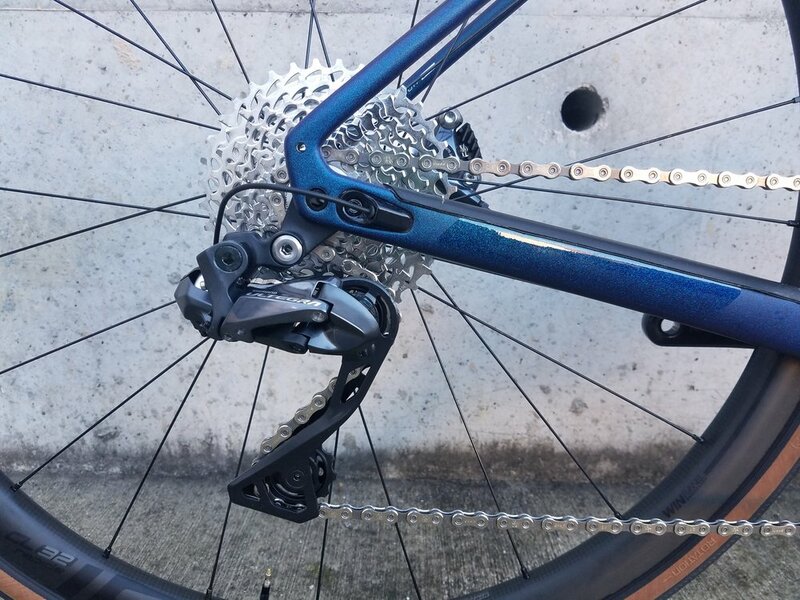 Shimano's Ultegra Di2 with hydraulic disc brakes not only offers exceptionally smooth, crisp shifts, but it provides incredible stopping power and modulation. For this particular bike, we outfitted the wheels with one of our favorite tires - the 32c Tubeless Roubaix Pro. These tires roll quickly and feel great, especially at lower pressure on gravel! Ultegra Di2 ensures every shift is exact and smooth. Rider First Geometry provides a consistently smooth, comfortable, zippy ride now matter the size of the bike. Roval Carbon CL32 wheels are stiff, lightweight, and durable! They are tubeless as well! Open Road Geometry gives the bike a playful feel but keeps predictable handling so no matter the terrain, you feel in control. The Future Shock soaks up bumps with easy. Ultegra Hydraulic Brakes provide great stopping power and control. You’ll never want to stop riding this bike!